Greenpicks – Eco & Upcycling Market is an online marketplace for ecological, sustainable and Upcycling products. Professional sellers are provided with the possibility to offer their goods, so that they can be purchased by buyers. With our services and our conditions we offer a clear profile and focus on transparency and honesty. We expect the same from the sellers who use this marketplace. The products offered on this marketplace must fulfil certain sustainability criteria. Alongside a fair coexistence buyers expect a successful purchase experience. This includes timely deliveries, faultless goods and information around the order. The trade in goods is a personal matter and should bring joy. Binding principles for all sellers contribute to fair competition in this online marketplace. So we can ensure the ultimate consumers a high level of quality and safety. that you as a seller contact other market participants on Greenpicks – Eco & Upcycling Market via comments, profile- or shop-descriptions or the news function in order to steer them to external online stores. that you as a seller designate links to other online stores in your offers that motivate people to buy outside of this marketplace. that you as a seller use the contact details acquired through a purchase for other purposes (such as the settlement of the purchase or sale). With its marketplace Greenpicks – Eco & Upcycling Market would like to provide you with an optimal distribution platform, which offers the chance to create a sustainable environment and stimulate a positive change towards environmental consciousness of our society. In addition to the due fairness we place value on independent, self-determined and virtuous action. By this we mean in this context the ability, willingness and obligation to take responsibility for your own actions, speaking and forbearance. This means that you care for yourself, that you stand up for your own actions and bear the consequences, as expressed in the phrase “to be in control in your own destiny”. In this marketplace we wish for a respectful, friendly, considerate, discreet, honest, accurate and attentive handling as well between the marketplace participants as in processing the sales. Offers and content of the individual shops on Greenpicks – Eco & Upcycling Market, profiles, banners, pictures, commentary, feedback (comments, ratings) and user names must not contain links to other websites. This also applies to the business via e-mail, phone, fax and similar appropriate means of communication that encourage to transact business past Greenpicks – Eco & Upcycling Market. This mainly concerns the representation of online store addresses (example: www.my-shop.de or myshop.de). Your dealer's name must not have the form of a URL (*.com etc.) and contain no URL. In your offer only texts and images may be used that are directly related to the product. Within your blog or social networking sites the link to your shop on Greenpicks – Eco & Upcycling Market may be added. Please keep in mind that there are no links to commercial sites on these pages which encourage to purchase outside of Greenpicks – Eco & Upcycling Market. For our marketplace we wish for a friendly, lively and vibrant activity as well as thriving trade. Every marketplace participant can make a contribution to this. Satisfied customers will recommend on word-of-mouth advertising your products and refer to Greenpicks – Eco & Upcycling Market. As the seller you are committed to supporting Greenpicks – Eco & Upcycling Market in its marketing efforts in a reasonable manner. Promotional materials (flyers, postcards, etc.) will be provided free of charge. 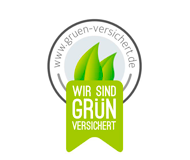 Please contact us at support[at]greenpicks.de. Greenpicks – Eco & Upcycling Market is an online marketplace for ecological, sustainable and Upcycling products. In general, only new goods are allowed, that meet certain sustainability criteria. Only articles that are being assigned to the criterion recycling/upcycling constitute an exception. Here it is in the nature of things that it is about used goods or "new products" that have been manufactured from used materials. As a seller you are solely responsible that the trading of the articles you post on Greenpicks – Eco & Upcycling Market is allowed under the statutory rules and the conditions of Greenpicks – Eco & Upcycling Market. In this context, we point in particular to the fact that articles which are governed by the JuSchG (Law for the protection of children and youth) have to be marked appropriate in the offer and are only allowed to be send to authorized persons by registered mail by hand. If you are not sure if you may offer your products here please contact us at support[at]greenpicks.de. 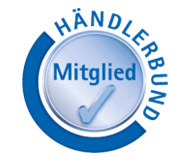 A purchase agreement for products bought on the online marketplace www.greenpicks.de is made directly with the respective seller. Greenpicks – Eco & Upcycling Market only acts as a trading facility where sellers and buyers meet and may contract purchase agreements. Greenpicks – Eco & Upcycling Market does not provide a guarantee for purchase agreements. Greenpicks – Eco & Upcycling Market itself only becomes contracting party of a purchase deal, if own products are offered by it for sale. By pressing the button “Order in obligation” the buyer gives a binding offer for the acquisition of products and accepts these contract terms of the seller(s) and of Greenpicks – Eco & Upcycling Market. The contract is concluded by the acceptance of the offer by the seller. Usually the declaration of acceptance on the part of the seller takes place via email to the buyer. Order confirmation: After the seller has received an information by e-mail about the order made by a purchaser on Greenpicks – Eco & Upcycling Market, he is obliged to send the purchaser a so-called order confirmation (letter of acceptance of an order) via e-mail. First the seller confirms the receipt of payment (only with prepayment, not applicable with payment method Paypal). This function is available for the seller in the vendor backend under < Sales > Orders > Order view > by clicking on "invoice" and "submit invoice". After that the seller ships the goods and confirms this under Orders> Order View> by clicking on "Shipping" and "submit". The hereby released shipping confirmation incl. invoice, which reaches the buyer via e-mail, is at the same time the order confirmation. Now the contract of sale is concluded. Products offered on Greenpicks – Eco & Upcycling Market are principally shipped from the seller to the buyer. A collection of articles must be agreed upon explicitly with the seller. The payment of the purchase price takes place directly to the seller. 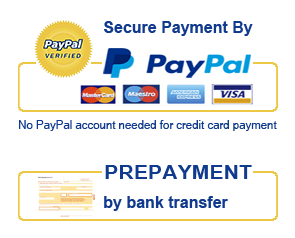 During the order process the buyer will be prompted to make use of one of the offered payment methods (bank transfer in advance or Paypal) and complete the order process. The seller on his part has to deposit correctly all the necessary payment information in the system (vendor backend > bank account data). The seller sends an invoice to the buyer’s email address. The seller may also attach the invoice to the shippment. The shipment of articles must take place within the specified sender time. If there is no indication of the processing time in the offer, the shipment shall be made within three working days after receipt of payment. The shipment must be confirmed to the buyer only if it really has been made. In each consignment an invoice and a return label for the buyer has to be enclosed. The invoice is generated automatically when the seller confirms an order, as far as the seller has activated the automatic invoice generation in the vendor backend. If you offer individualisations or custom-made products please indicate any longer delivery times already in the description of the article. In principle only such articles shall be offered on the Greenpicks – Eco & Upcycling Market that are deliverable. If the article is in an exceptional case no longer available after it has been ordered Greenpicks – Eco & Upcycling Market at support[at]greenpicks.de. and the affected customer must be informed immediately. We point out explicitly that in accordance with the fee schedule of Greenpicks – Eco & Upcycling Market a commission accrues also for products not available. Should within 4 weeks more than 3 articles offered not be available, Greenpicks – Eco & Upcycling Market reserves the right to take further sanctions. It has to be responded promptly on complaints and reclamations from purchasers as well as on inquiries from Greenpicks – Eco & Upcycling Market. Should there be no response within 4 days, Greenpicks – Eco & Upcycling Market reserves the right to take further sanctions. If a purchaser reports that he has not received the article, you as a seller have to prove towards the purchaser the proper shipping via evidence of delivery. The address of the recipient must be stated on the evidence of delivery. If the purchaser makes use of the cancellation right and sends the article back to you, you as a seller are obligated to notify Greenpicks – Eco & Upcycling Market at support[at]greenpicks.de the receipt of return. In the case of a reverse transaction in accordance with the seller’s cancellation right the seller must inform Greenpicks – Eco & Upcycling Market immediately about this process but not later than 3 working days after becoming aware of the purchaser's wish for reversal. Upon successful reversal – the purchaser was provably refunded the purchase price and the seller provably did get back the goods – Greenpicks – Eco & Upcycling Market will refund the sales commission on the next available billing period. If a purchaser does not pay within the specified period of payment made by the seller, the seller must send a payment reminder to the purchaser via Greenpicks – Eco & Upcycling Market. Should the payment still continue to fail (at least 7 working days), the seller must inform Greenpicks – Eco & Upcycling Market immediately about this process, but not later than 3 working days after expiration of the deadline of the payment reminder to the purchaser. For first information of a cancellation the seller can help himself by the function “order cancelled” in the vendor backend under < Sales > Orders > Order view >. Within the next 3 working days the seller should inform Greenpicks – Eco & Upcycling Market with sufficient explanation about the cancellation via e-mail to support[at]greenpicks.de. Greenpicks – Eco & Upcycling Market only makes cancellations if a payment reminder had been sent to the purchaser beforehand and the seller provably did not receive payment. In principle, Greenpicks – Eco & Upcycling Market does not cancel any sales older than 6 weeks from date of order. If credits are applied, although the sale was successfully concluded (this also applies to late payment after payment reminder - the seller must report to Green Picks - Eco & upcycling Market immediately), the seller will be excluded from trading on Greenpicks - Eco & Upcycling Market immediately. In such cases, Greenpicks – Eco & Upcycling Market reserves the right to inquire to make a complaint. If in case of an absence of more than 4 working days (e.g. due to a hospital stay or holiday) you do not have any access to your sales account on Greenpicks – Eco & Upcycling Market or to your email account the products offered have to be deactivated. Occasionally it is in the nature of the diversity of some products, that it is difficult to assign them to a suitable category. However, if an article is assigned to the wrong category, this makes the specific manual searching and finding of products more difficult. Furthermore it causes discontent among buyers and sellers. Therefore please assign your products accurately to the provided categories. The texts and photos used must not violate the law, copyright and trademark laws. The product description might meet statutory requirements. Advertisement under assumed names or trademarks is prohibited, especially if it violates the trademarks and/or licensing law. Greenpicks – Eco & Upcycling Market receives from the seller the right of use free of charge, limited to the duration of the contract and comprehensively. This right of use serves especially reproduction, distribution, editing for all creations or parts of creations as well as for databases or any other catalog or any other product information submitted by the seller as part of the online offer of Greenpicks – Eco & Upcycling Market to Greenpicks - Eco & Upcycling Market, including the right to publish this content in print, online and on storage media (e.g. CD, DVD, USB stick), also for promotional purposes. The right of use does not include logos, trademarks, other similar distinctive brandings or works, transmitted to Greenpicks - Eco & Upcycling Market by a seller for purposes of sale. Secondary obligations arising from a contract between seller and buyer (e.g. obligations to provide information and advice, proper shipping of the goods, exclusion of health damage, compliance with the Youth Protection Act, acceptance of the goods by the buyer, etc.) rest on the seller resp. the buyer. As a seller, you have the responsibility to assure that offering and selling your products as well as the manner of their presentation will not infringe rights of third parties. Greenpicks – Eco & Upcycling Market does not check the offers concerning possible legal violations without a specific reason. We advise explicitly against processing copyrighted or trademarked items or advertising with someone else’s brands in texts. Warnings that may arise from such a violation of rights and the related consequences are borne by the seller. If you notice a violation of personal rights, please provide corresponding proofs showing your rights and the violation. In addition, we recommend taking legal advice. If there are concrete indications for violations of the Sellers Principles we reserve the right to delete or block your offer in whole or in part without prior notice. Repeated or serious violations may result in exclusion from trading on Greenpicks – Eco & Upcycling Market. Furthermore, we reserve the right to remove articles from Greenpicks – Eco & Upcycling Market without giving reasons, if we believe that they do not meet the criteria or do not fit the range of goods. Greenpicks - Eco & Upcycling Market provides functions to link with social networks (e.g. Facebook, Twitter, Google +, etc.). It is up to each participant to use these functions. Greenpicks – Eco & Upcycling Market does not assume any responsibility for any consequences arising from the use of social networks. Greenpicks – Eco & Upcycling Market reserves the right to expand, modify, or remove all or in part the functions of social networks from the marketplace at any time. Everything is subject to constant change. Therefore, we reserve the right to adjust, to extend or to modify the Sellers Principles. You will be informed about updates to the e-mail address stored in the system. Via the online platform Greenpicks - Eco & Upcycling Market offers sellers the opportunity to sell ecological and sustainaible products to buyers. The following conditions shall apply to all services between Greenpicks - Eco & Upcycling Market and its sellers. “Sellers” are also mentioned as “Dealer” or “Shop-Operator”. 1.2 Seller and buyer means any natural or legal person who enters into a transaction for the purposes of distributing or acquiring products via the provided user platform of Greenpicks - Eco & Upcycling Market. "Seller" means the legal owner of articles and products that he offers for sale with the use of Greenpicks – Eco & Upcycling Market. 2.1 Only registered sellers aged 18 years or more can place offers on the online marketplace of Greenpicks – Eco & Upcycling Market. Only professional sellers of new goods can register as a seller on Greenpicks – Eco & Upcycling Market. This does not apply to members of the liberal professions; here the specification of the tax number and – if any – the sales tax identification number are sufficient. The sale of used goods is not permitted, except for articles that meet the criteria recycling / upcycling. Registered sellers must be only those who are full of age and fully legally competent. For registration, the seller must fully and truthfully fill in a registration form. Only after receiving a registration confirmation by Greenpicks – Eco & Upcycling Market the placement of offers and the use of services of Greenpicks – Eco & Upcycling Market are possible. 2.2 Upon receipt of this confirmation of registration a seller's account is enabled for the seller in which he may operate his online-shop and can upload and manage offers. 2.3 Access to Greenpicks – Eco & Upcycling Market is not transferable to third parties. 3.1 The seller is obliged to provide truthful, accurate, current and complete information when registering. He also has to ensure as a seller that the data in his "seller" account is always up to date and accurate. Legally binding declarations may be sent electronically to the email address specified by the seller. These are considered to be received when they are stored in the email box of the seller in an accessible way. Disadvantages from the lack of updating the address data shall be borne by the seller. 3.2 The seller is responsible for his seller's account, in particular for all transactions carried out with the seller's account and for all users associated with the seller's account. He may grant third parties permission to use his account, but he agrees to monitor the use by third parties and even be held liable for any actions. The seller pledges himself to inform Greenpicks – Eco & Upcycling Market immediately if an unauthorized access to the seller’s account and other security vulnerabilities, that concern Greenpicks – Eco & Upcycling Market, are detected. 3.3 The seller is obliged to place only content that is technically correct, thus free from viruses, Trojan horses or self-running executable files. 3.4 The seller shall provide only products, in which he has the rights required. 3.5 The seller pledges to offer only self-made products or products, of which he is the right holder (see 3.4), on the online marketplace, but not those that violate any applicable statutory regulations or the rights of third parties. In particular, he will not offer any articles or upload any offers which are pornographic, glorifying war or violence or contain Nazi propaganda. 3.6 Secondary obligations arising from the conclusion of a contract with the buyer (e.g. obligations to provide information and advice, proper shipping of the goods, exclusion of health damage, compliance with the Youth Protection Act etc.) are in the responsibility of the seller. 4.1 The seller is obliged to behave in conformity with the law in the context of his entire business activity processed through Greenpicks – Eco & Upcycling Market and to comply with the statutory and regulatory requirements for the sale of his products. 4.2 In particular, the seller has to observe all consumer protection regulations. This is especially true for the proper granting of a right of withdrawal, as fas as this is required by law. Greenpicks – Eco & Upcycling Market is not obliged to provide the seller with a recent cancellation policy. As far as Greenpicks – Eco & Upcycling Market suggests the seller a cancellation policy, a withdrawal form, general contractual conditions and delivery or shipping conditions, these proposals are not part of the user contract and no liability is assumed for this. 4.3 In case that any third party claims against Greenpicks – Eco & Upcycling Market for violation of statutory or regulatory requirements or the infringement of private rights, the seller offending against contractual conditions will keep Greenpicks –Eco & Upcycling Market indemnified against all asserted claims upon first request. The indemnification also covers the costs of any necessary legal defense of Greenpicks - Eco & Upcycling Market, including court and attorney fees. 4.4 The seller allone is obliged to determine whether taxes, especially VAT, duties, import and export duties and any other customs tariffs may arise for the products offered, to calculate them and pay them properly. (concerning this see also variable settings No. 5.3) He is obliged to provide this information in the field Shipping information as "Notification about possible additional taxes and costs" precisely. Greenpicks – Eco & Upcycling Market is not obligated to determine whether sales tax or other taxes and duties become due on the sale of products between seller and buyer, or collect such taxes, pay or declare. 4.5 The seller is obliged to comply with any restrictions on sales, in particular age restrictions. The dealer is required to carry out an age verification where necessary (e.g. by presenting the identity card or other appropriate documents). These requirements apply specifically to alcoholic beverages, spirits and tobacco. The seller is prohibited from selling items, that may only be sold to persons full of age, to unverified buyers. The shipping of items that may only be sold to persons full of age, has to be carried out by the seller by an appropriate shipping option that ensures that minors can not gain access to the consignment. 5.1 When setting up an online-shop at www.greenpicks.de the seller chooses a shop name. The shop name can differ from the user name (Login). The shop name shall not infringe any third party’s rights or be immoral. In such case Greenpicks – Eco & Upcycling Market reserves the right to delete or to alter the shop name. 5.2 Registered sellers get their own website (shop) under their own URL, where all items and offers of the particular shop-operator are listed. E.G. : www.greenpicks.de/sampleshop. The design is given by Greenpicks - Eco & Upcycling Market The shop owners are solely responsible for all items listed in their online-shop and for the compliance with legal regulations. 5.3 Greenpicks – Eco & Upcycling Market provides the shop-operator numerous functions for order and invoice management. The seller shall be responsible to make use of these functions. 5.4 Registered sellers can create their own online-shop on www.greenpicks.de where all items and offers of the particular shop-owner are listed. The content of the website and the online-shop is in the responsibility solely of the seller, who has to incorporate in particular an imprint according to the statutory regulations and a cancellation policy on the website. The creation of an online-shop on www.greenpicks.de and the offering of products are subject to fees. See the current fee schedule. 5.5 The personal data requested by Greenpicks – Eco & Upcycling Market during the setup of the online-shop (e.g. address data, tax number or VAT ID number, shop description, terms and conditions, return policy etc.) have to be complete and accurate. The shop owner is obligated to keep these data up to date. 5.6 By placing an article the seller makes a nonbinding offer for sale of this article at a fixed price to the potential buyer who complies with the conditions specified in the offer if applicable. A contract of purchase of the article becomes effective as soon as the buyer meets the conditions contained in the offer and clicks the button “order in obligation” in his shopping cart and the sellers confirms this order later on. 5.7 The seller shall place the articles offered by him in the appropriate category and describe them truthfully and completely. In doing so he shall include all circumstances that are relevant for an average buyer in the purchasing decision. All essential qualities and characteristics relevant to the purchase decision have to be provided truthfully and complete. In particular, the seller has to inform the buyer of any defects or wear as well as delivery and shipping conditions. For every article the seller has to specify the full purchase price, that has to be paid by the buyer, including VAT and any applicable shipping costs and other price components. Entrepreneurs offering goods to consumers, are obliged to provide them with the statutory consumer protection information and to notify them of the legal right of withdrawal, if such exists. The items offered must comply with the criteria compiled by Greenpicks - Eco & Upcycling Market listed in section 6.1 and must not violate the Greenpicks –- Eco & Upcycling Market seller principles. 5.8 Within his online-shop the seller must only describe the articles offered and give information on these articles. Beyond this the seller is not entitled to carry out advertising in any form. 5.9 The products offered, the description of the online-shop and items as well as the pictures used in this context may not infringe the rights of others and must only refer to the online-shop or to the offer. In particular, the articles, descriptions, photos and content must not violate the Law Against Unfair Competition ("UWG", “Gesetz gegen den unlauteren Wettbewerb”). Advertising for goods not offered on the Greenpicks – Eco & Upcycling Market is inadmissible. 5.10 Items that are offered through Greenpicks – Eco & Upcycling Market have to be already in possession of the seller at the time of listing. The articles have to be send to the buyer within the specified delivery time as stated in the description of the articles. 5.11 The price of the respective offers understands itself as gross price including any applicable VAT and other price components. Depending on the nature of the business enterprise (such as small business law pursuant to § 19 VAT law (“Umsatzsteuergesetz”)), it may be necessary to adjust the VAT rate when placing the offer. The sales price does not include delivery and shipping costs. Sellers are not allowed to pass on fees and/or commissions from Greenpicks – Eco & Upcycling Market additional to the sales price to the buyer and to demand them from the buyer. 5.12 The seller is not entitled to attach links to external websites to his online-shop in any form. This does not include links to other offers on Greenpicks – Eco & Upcycling Market. 5.14 Greenpicks – Eco & Upcycling Market reserves the right to remove articles from the website after a warning by a third party or own suspicion. 6.1 Greenpicks – Eco & Upcycling Market is a marketplace for sustainable and ecological products. The goods offered by the sellers must meet the following sustainability criteria. 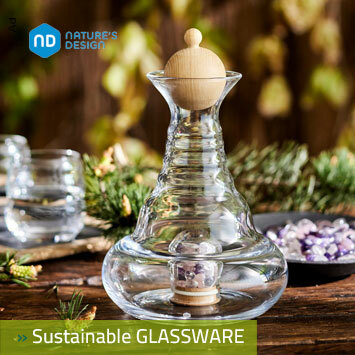 These sustainability criteria provide information about the background: Production and manufacturing method, the material origin and texture, working conditions, social compatibility, environmental protection and resource conservation, etc. This gives the customers transparency and certainty regarding the products offered. There are two groups of sustainability criteria, divided into hard and soft factors. The products offered must meet either at least one criterion of criteria group I or at least two criteria of criteria group II. 6.2 Greenpicks – Eco & Upcycling Market expects from every seller that they act responsible in dealing with the previously mentioned criteria and dispenses with the procedure of activating an offer during the offer preparation. 6.3 Greenpicks – Eco & Upcycling Market reserves the right to examine any active or inactive offer concerning the requirements of the criteria mentioned in section 6.1. The overall appearance of the article in terms of sustainability and ecology plays a crucial role. 6.4 Greenpicks – Eco & Upcycling Market may remove an offer from the marketplace if it does not meet the criteria mentioned in section 6.1, regardless of the time of notice about that fact. 6.5 Resulting fees are not refundable. Greenpicks – Eco & Upcycling Market does not pay any potential resulting costs. 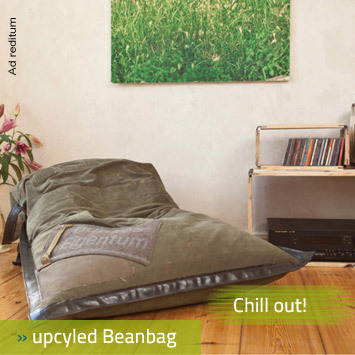 Greenpicks - Eco & Upcycling Market operates bilingual (German / English). For that purpose the offers and shop description can be provided by the seller both in German and English. 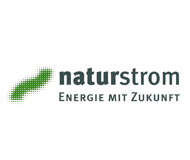 Depending on the capacity and on the chosen package Greenpicks – Eco & Upcycling Market reserves the right to assist with translation German-English and English-German. As far as Greenpicks – Eco & Upcycling Market determines that items offered lack a translation (English or German), the translation might be made by Greenpicks – Eco & Upcycling Market proactively and assigned directly to the corresponding offer or/and the shop description. The seller will be informed afterwards via e-mail. The seller always has the possibility to edit these texts in the vendor backend under the article management resp. shop settings. The service of translation is carried out to the best of knowledge and belief. Greenpicks – Eco & Upcycling Market does not assume any liability for the accuracy of the translations. 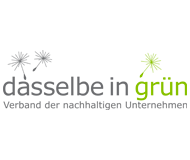 8.1 For the creation of an online-shop on www.greenpicks.de a onetime fee for the shop founding as well as monthly fees for the ongoing operation might incur. See also fee schedule. 8.3 The commission arrises for each order arranged through Greenpicks – Eco & Upcycling Market. This applies regardless of whether the deal is actually carried out later or is reversed due to a cancellation before or after delivery. The commission is not payable if the seller has effectively informed of the cancellation right and thereafter a buyer makes use of his statutory cancellation right. Cancellation Fee: For canceled orders the vendor is responsible for (not or not contractual rendered services as for example delayed delivery, not available items etc.) a Cancellation Fee of 3% of the order value (incl. shipping) is due. The seller may charge up Greenpicks – Eco & Upcycling Market fees and/or Greenpicks – Eco & Upcycling Market commissions against claims from not yet issued credits and against due and/or future claims only if these claims are legally established or undisputed. 8.4 The individual fees as well as the commission are due for payment immediately and can be paid by direct debit. 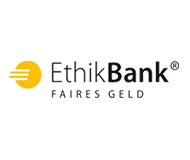 Should the direct debit fail, the shop-operator has to reimburse the additional costs incurred to Greenpicks – Eco & Upcycling Market, insofar as he is responsible for the failure. 8.5 Greenpicks – Eco & Upcycling Market sends invoices to the seller via email to his email-address. The seller gets into delay without further notice after a time lapse of 14 days after invoicing as far as the collection of fees due will fail for reasons imputable to the seller. During the delay, the seller shall pay interest for delay in the amount of five percentage points above the base interest rate. 8.6 In case of delay Greenpicks - Eco & Upcycling Market may prohibit further use through simple email until receipt of payment. 8.7 Greenpicks - Eco & Upcycling Market keeps the bank information of the seller to settle accounts and invoice for the services he has used. The seller's account will be charged automatically with the amount invoiced at the 15th of the current month or on the following business day. To ensure that the amount invoiced is correct, Greenpicks - Eco & Upcycling Market sends an invoice to the seller 14 days before the debiting date, that includes all fees. Should there be items on the invoice deemed by the seller for inaccurate, the seller shall notify Greenpicks - Eco & Upcycling Market immediately, at the latest 6 weeks after receipt, via email or in writing, so that Greenpicks - Eco & Upcycling Market can correct the invoice if necessary. If the invoice cannot be corrected by the settlement date a credit will be made at the next possible settlement date. 8.8 Sellers are not allowed to evade Greenpicks - Eco & Upcycling Market’s structure of fees and commissions. 8.9 Fees and commissions may be changed by Greenpicks - Eco & Upcycling Market. The seller will be informed about changes in the fees at least two weeks prior to their coming into effect by email. If the seller does not object against the validity of the new fee rates within two weeks after receipt of the email the revised fee schedule shall be deemed accepted. In the email, informing about the change in fee rates, Greenpicks - Eco & Upcycling Market will point out to the seller separately the importance of this two weeks time limit, the right of revocation and the legal consequences of silence. Should the seller object against the revised fee schedule within the aforementioned period, Greenpicks - Eco & Upcycling Market has the right to terminate the contract without notice. Greenpicks – Eco & Upcycling Market is an online marketplace for sustainable, ecological and Upcycling products. We combine upcycling, design, sustainability and ecology on one platform. With your purchase on our platform you can make a significant contribution to the protection and preservation of our planet. We believe in transparency and honesty. Our services and our conditions have a clear profile. We expect the same from the sellers with whom we work. So we can ensure to you, the ultimate consumer, a high level of quality and safety. To meet this requirements, however, we need your help: Please observe the following principles to your order at Greenpicks – Eco & Upcycling Market. Thank you! By buying an article through this online-marketplace, you conclude a binding contract (§ 433 para 2 BGB (German civil code)) with the seller. You are then required to accept the purchased item(s) and pay for it/them. However, as a private buyer purchasing an item from a commercial seller you have as a rule an opportunity to resolve the contract by cancellation right and right of return. As a private buyer dealing with commercial sellers you are entitled to a cancellation right and return policy during the withdrawal period. You will find the cancellation rights and revocation of the commercial sellers in their online-shops on Greenpicks – Eco & Upcycling Market. The cancellation policy regulates the cancellation period, the cancellation effects and also the manner of return and refund of the return postage. The revocation must be made directly to the seller. Before you return an item, clarify in advance directly with the seller the procedure of your return request. To avoid high costs of delivery at the sellers please do not send the item back freight collect by no means. Send the item as a registered letter or package to the seller, so you can prove the return in case of loss while shipped. Please use our Return Management, or get in touch with the seller by sending a message to him through your customer account under Contact Request. If you wish to reclaim an item purchased or return it for other reasons to the commercial seller, please contact the seller immediately. You agree directly with the seller on the further procedure. Please do not send the item back freight collect. Send the item as a registered letter or package to the seller, so you can prove the return in case of loss while shipped. Although it is the sellers responsibility to determine whether taxes, especially VAT, charges, import and export duties and any other duties will be due for his offered articles, and these shall be published in the offer description, we kindly ask the buyer in his own interest to pay attention to the costs that could come up to him. Notes on optional additional costs, see the tab "Shipping Information" on the product detail page, and on the seller's shop page also under "Shipping information". The watchfulness of the buyer contributes as well to the smooth execution of the purchase as the seller's obligation to give such information. Like any community also Greenpicks – Eco & Upcycling Market has a few guidelines to ensure a successful, fair and safe purchase for all participants. If you want to buy please be binding. Keep your account is up to date all the time. Be honest with the information about your person. Be careful, fair and honest when rating a seller. In addition to the due fairness we place value on independent, self-determined and virtuous action. By this we mean in this context the ability, willingness and obligation to take responsibility for your own actions, speaking and forbearance. This means that you care for yourself to stand up for your own actions and bear the consequences, as expressed in the phrase “to be in control in your own destiny”. Please note that the English version of the buyer principles is only a translation of the German buyer principles. The translation has been made to the best of the translator’s knowledge and belief. The German version of the buyer principles shall always prevail in case of doubt. 1.1 As a buyer you are obliged to settle the purchase contract with the seller when buying a product. The purchase contract is concluded when the buyer clicks on the button “order in obligation” in his shopping basket. Upon completion of the purchase contract, the buyer receives a confirmation email. The buyer is obliged to pay the invoice upon confirmation of order by the seller within the specified period by the seller. 1.2 By purchasing a product the buyer agrees with the general terms and conditions, the delivery conditions and the right of revocation of the respective online-shop as indicated in the product description and the terms and conditions of the seller – provided that those conditions are not contrary to these terms and conditions or are legally void. 1.3 Purchase contracts can be canceled only in exceptional cases, such as when the seller changes the description of the item after conclusion of a purchase contract, a clear typographical error is present or the identity of the seller is not clear. The rescission of the contract is made directly to the seller. 1.4 The buyer must ensure that he is legally able to make purchases on Greenpicks – Eco & Upcycling Market. The buyer confirms by registration and/or ordering that he is full-aged, completely legally competent and able to pay the purchase price. Secondary obligations arising from a contract for the buyer (e.g. acceptance of goods purchased etc.) rest on the buyer. The buyer exercises his right of cancellation directly to the seller. Greenpicks – Eco & Upcycling Market only is a technical trading platform where sellers and buyers can come into contact with each other and can make purchase contracts. 1. The rating- and feedback-system gives the marketplace participants the opportunity to evaluate a specific purchase deal. The rating- and feedback-system serves as a quality check, as fraud avoidance and shall help participants to evaluate the reliability of the sellers. 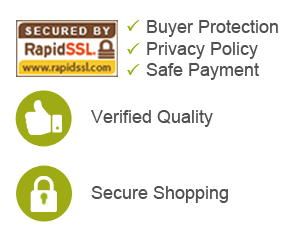 The rating- and feedback-system is to be used by the purchaser solely for this purpose. 2. 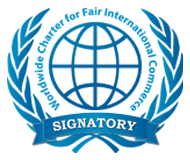 Each participant is obliged to provide solely truthful and factual information in the rating or feedback and to comply with the legal regulations. Ratings or feedback running contrary to the purpose as set out in No. 1 of these Principles, particularly by insulting, unobjective, unacceptable disparaging statements or other unnecessary additions, as well as ratings or feedback on one’s own behalf or those which were released by a third party compelled by the user are prohibited. The information must be directly related to the particular purchase deal. 3. Without a concrete suspicion Greenpicks – Eco & Upcycling Market will not make any review of ratings and feedback. 4. If a seller believes that a false or in some other way improper rating or feedback was made about him by a buyer, he may contact Greenpicks – Eco & Upcycling Market via the email address support[at]greenpicks.de. Greenpicks – Eco & Upcycling Market will ask the author of the respective rating or feedback for an opinion. If the author refuses an amendment or withdrawal of his rating or feedback Greenpicks – Eco & Upcycling Market will decide at its own descretion whether the rating or feedback will continue to be published on Greenpicks – Eco & Upcycling Market until a judicial clarification on the admissibility of the rating or feedback, as far as one of the two parties (seller or buyer) has initiated a legal process. 5. Greenpicks – Eco & Upcycling Market reserves the right to delete ratings and feedback if there are concrete indications for an infringement against these Principles or legal regulations. A claim to recovery of deleted ratings or feedback does not exist. 6. If a buyer infringes the mentioned rating and feedback principles he is obligated to Greenpicks – Eco & Upcycling Market for compensation of any damage arising. He is particularly obliged to keep Greenpicks – Eco & Upcycling Market indemnified against third party claims, that they assert against Greenpicks – Eco & Upcycling Market because of an unacceptable rating or feedback. Please note that the English version of the market guidelines is only a translation of the German market guidelines. The translation has been made to the best of the translator’s knowledge and belief. The German version of the market guidelines shall always prevail in case of doubt.